Playing with Papercrafting: The Occasions Catalogue is Here! 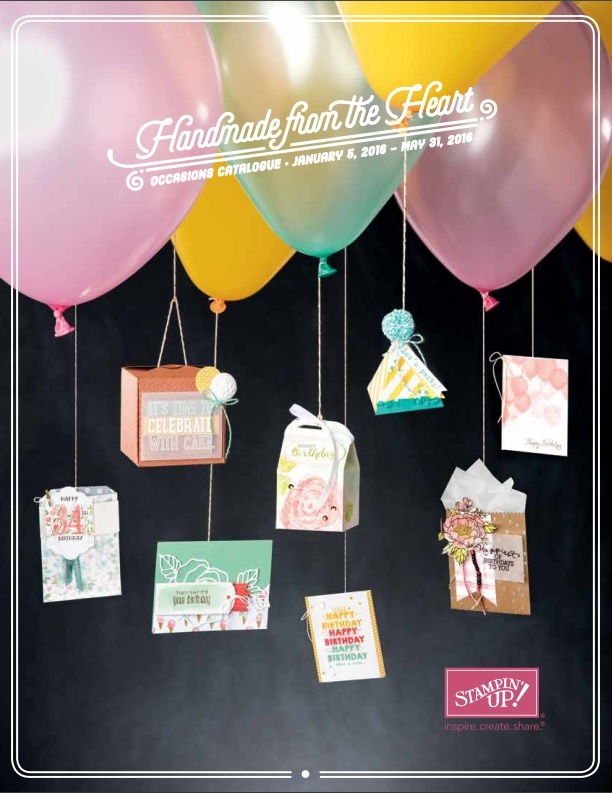 Yes, today is the first day that you can order from the new 2016 Stampin' Up! Occasions Catalogue! I know many of you have been waiting so long for this day! 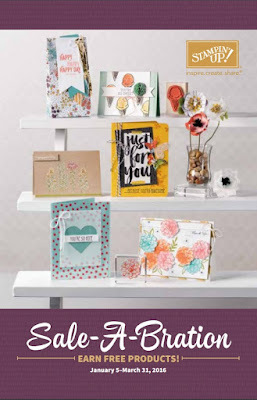 If you haven't yet seen the Occasions Catalogue, just click on the photo below for the link to the PDF file. And we have been warned from Stampin' Up! 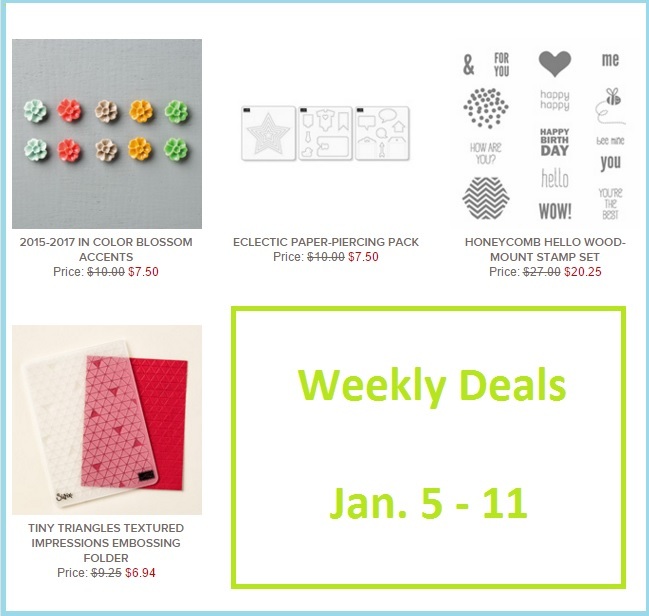 that if sales go the way the pre-order by demonstrators has gone, the Honeycomb Embellishments and the Large Number Framelit Dies might be backordered, so if they are on your wish list, you might want to order them right away. Go ahead and shop from that Occasions Catalogue, but when you do, make sure your order exceeds increments of $60. (i.e. Don't order something for $57.00! Bump it up to $60 instead!) And for every $60 you spend before tax and shipping, you can pick one of the items from the Sale-A-Bration Brochue for free!! How sweet is that? Click on the the photo below to link to the PDF file. One other thing that you should know is that on page 16 - 18, are items that will only be available for a limited time, until Feb. 15, 2016. They will be replaced by new items at that time, but if you really like any of them, you'll want to earn them by Feb. 15. The second way to earn free products is to host your own private class or party. When sales from your class reach a qualifying level, Stampin' Up! 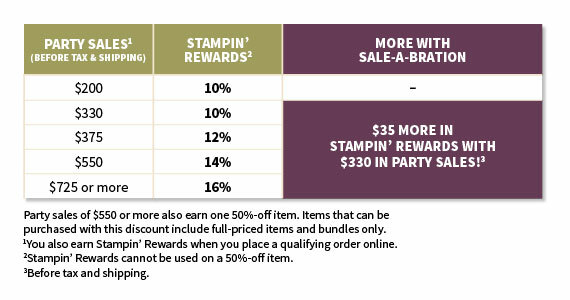 will add a further $35 on top of the already great rewards. If you would like to have fun stamping, earn money and get to see and order from new catalogues before the public, you should Join My Team! Click on this LINK to find out more. The Starter Kit is normally a great deal, with $155 worth of any current product you want with no shipping costs, but if you sign up during Sale-A-Bration, Stampin' Up! will add another $40 worth of product of your choice to the kit! That's $195 worth of product for only $125. Be your own boss in 2016!! 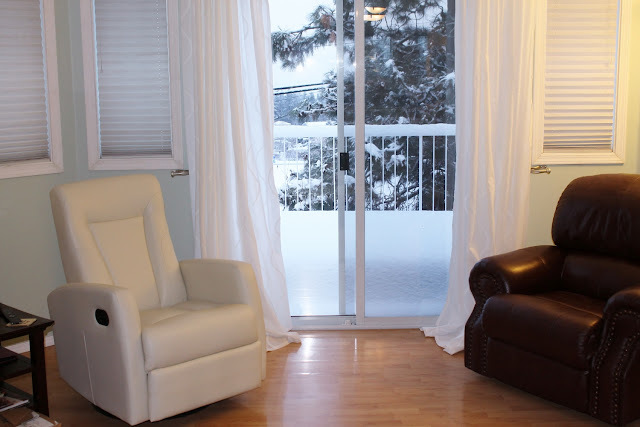 Here's a photo of my living room, and see that big empty space between the two chairs? That's where my Christmas tree used to live. So sad!! But look at all that snow on my deck! It's been piling up for a week now! Have you taken down your Christmas decor yet? When do you like to do it?